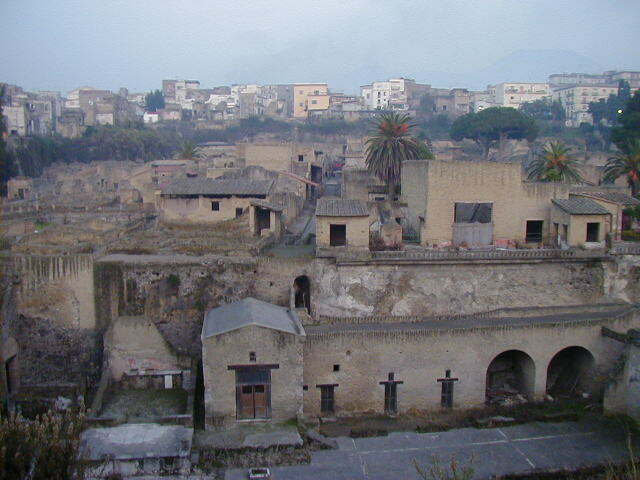 Herculaneum was a town between Pompeii and Naples buried under the same 79 A.D. eruption of Vesuvias. 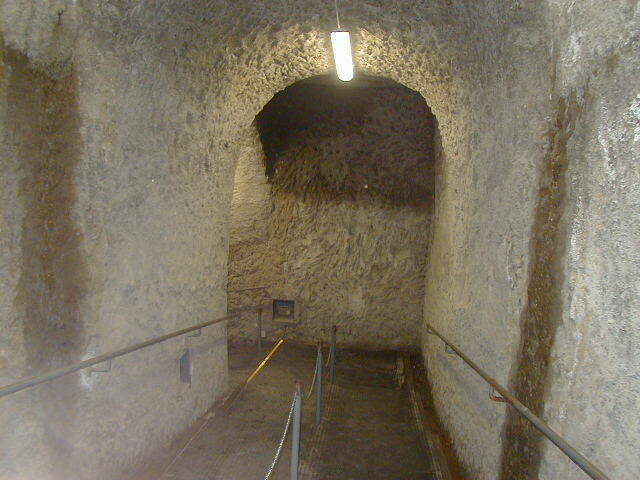 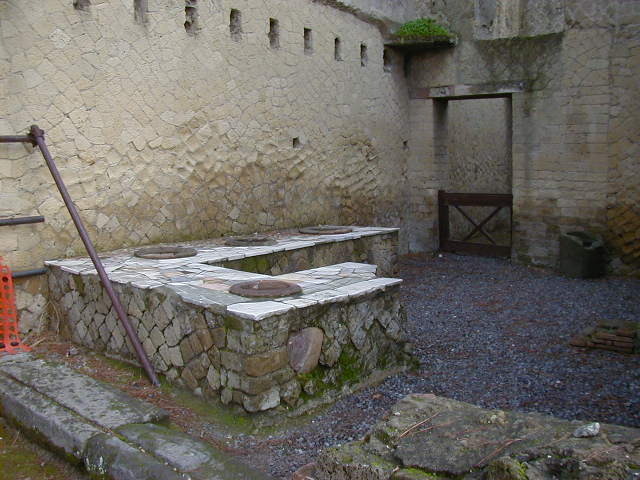 Most of the people of Herculaneum escaped. 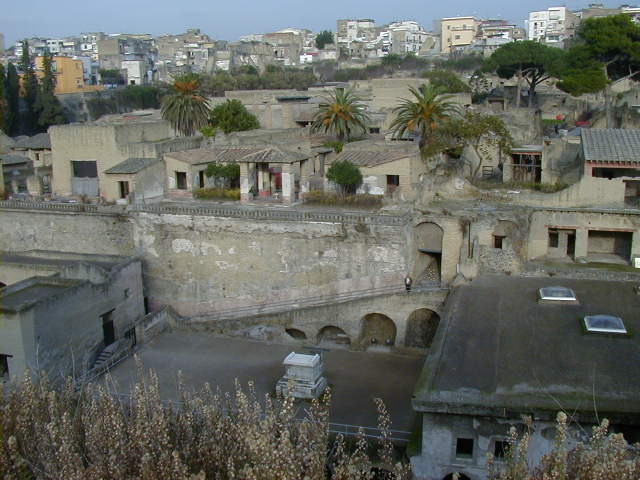 While Pompeii was a working town with shops and other businesses, Herculaneum was sort of a resort town for the rich. 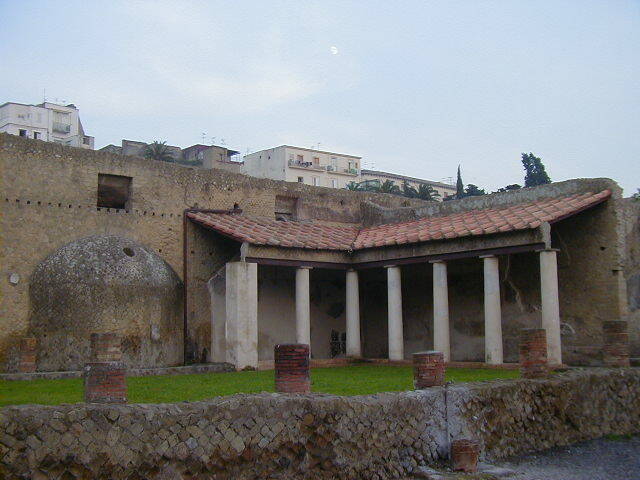 Pompeii had lots of businesses; with the exception of a gymnasium, baths and fast food places, most of Herculaneum consisted of fancy houses. 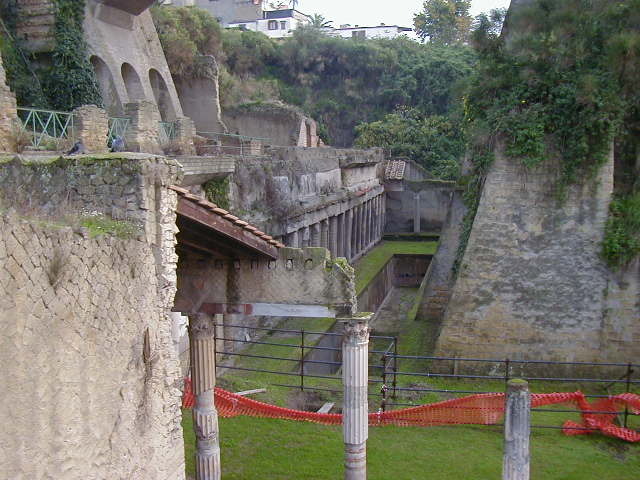 The opening pictures are of old Herculaneum taken from new Herculaneum, and a path cut through the solidified mud that buried the town. 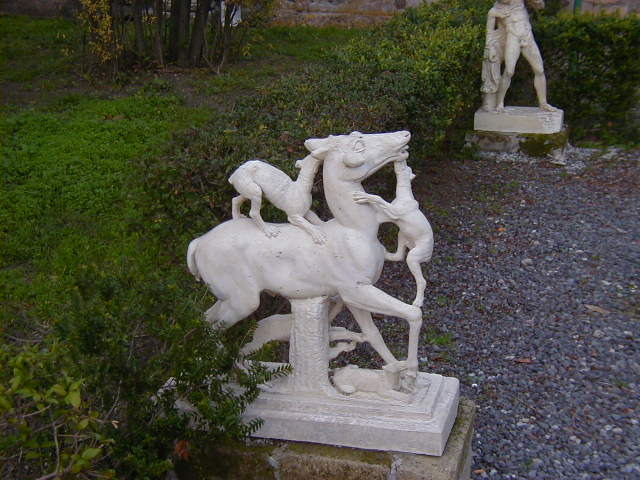 This is the Garden of the Deer House, named for the statues of deer having a really bad day. 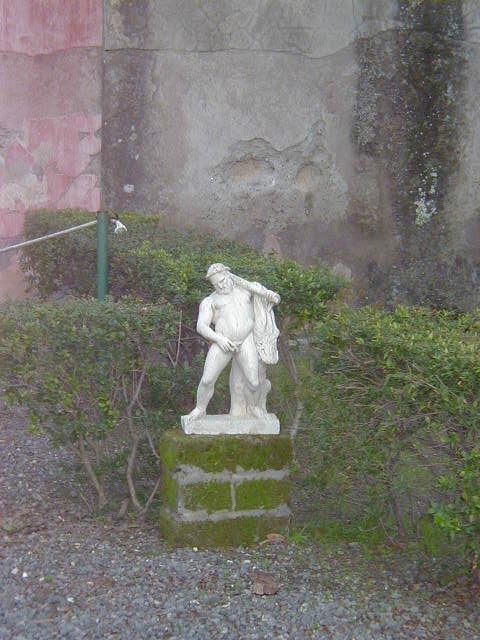 Other statues are of a Satyr with a wine sack, and Hercules, drunk and relieving himself. 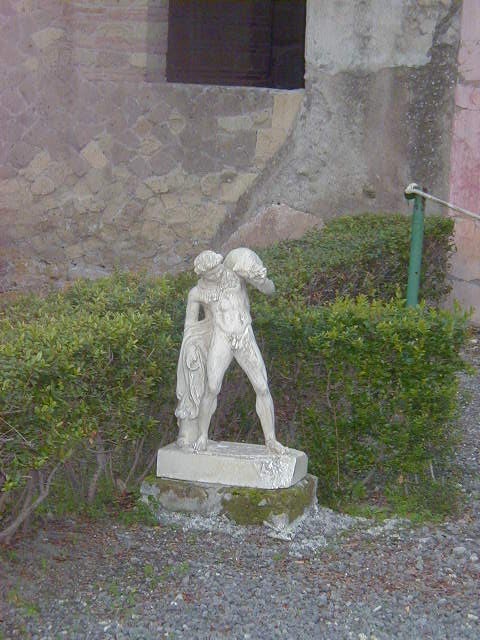 This was another fountain statue. 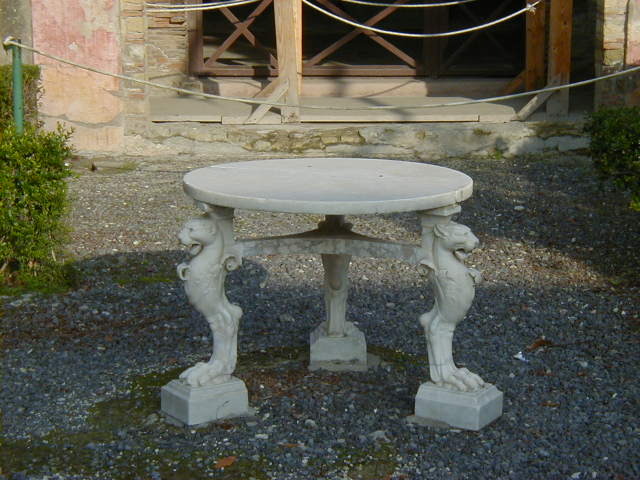 Tastes for garden furnishings were different back then. 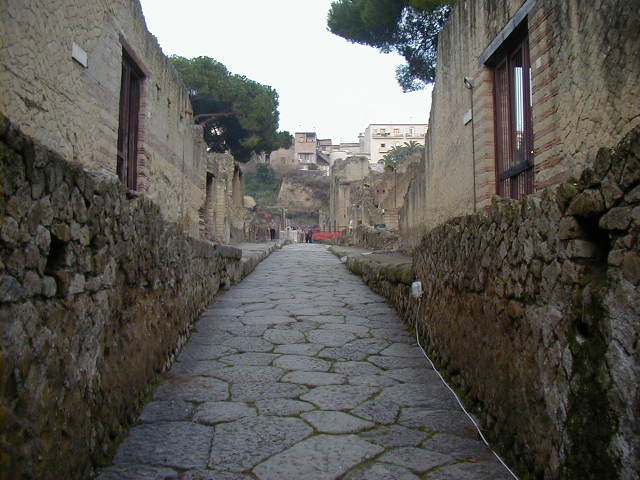 The next two pictures are of a city street, with the second picture showing the polished white marble placed in the street to act as reflectors at night. 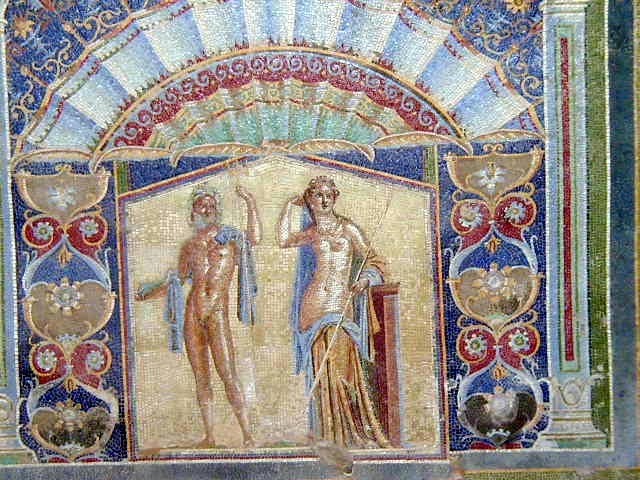 Bet you thought reflectors were a new idea. 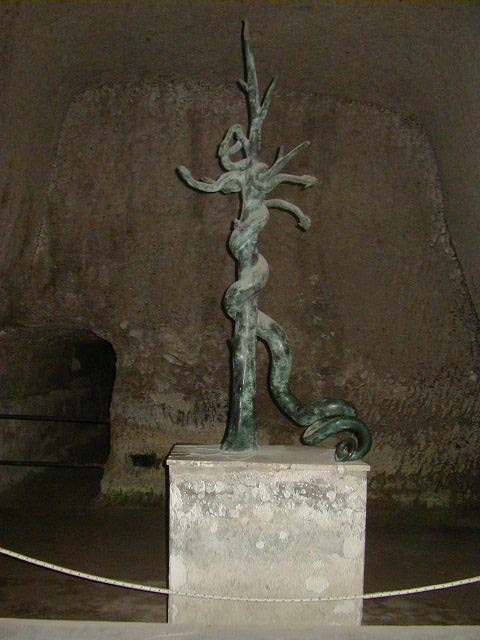 After that is the bronze five-headed hydra that was in the gymnasium fountain, and a tunnel through the earth filling and covering the gymnasium. 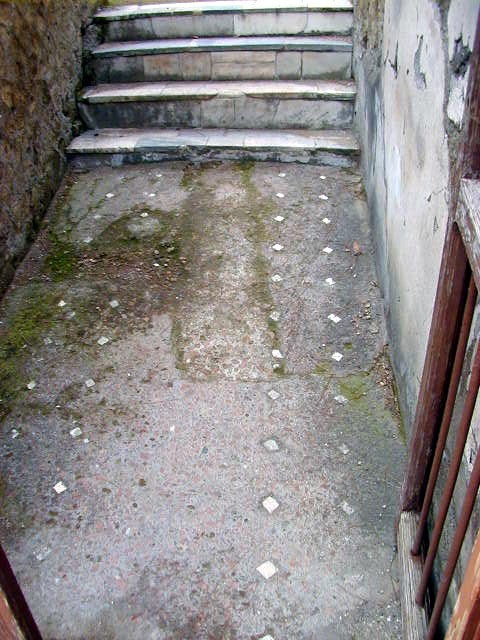 Most of the gym is still buried. 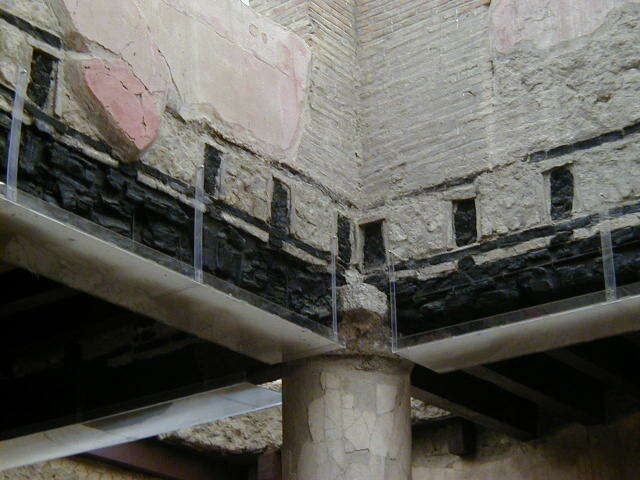 After that is a picture of the gym pool, which shows the modern houses on the ground covering the gym. 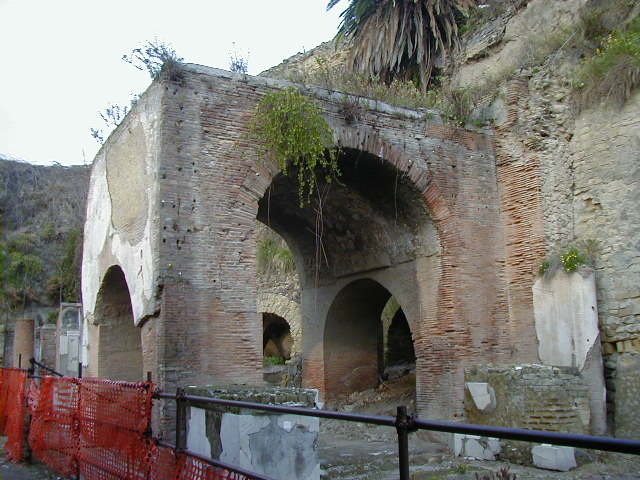 Here is the Centrol Decuman Gate opening into the Forum, though currently it is a gate opening into a wall of solidified volcanic mud. 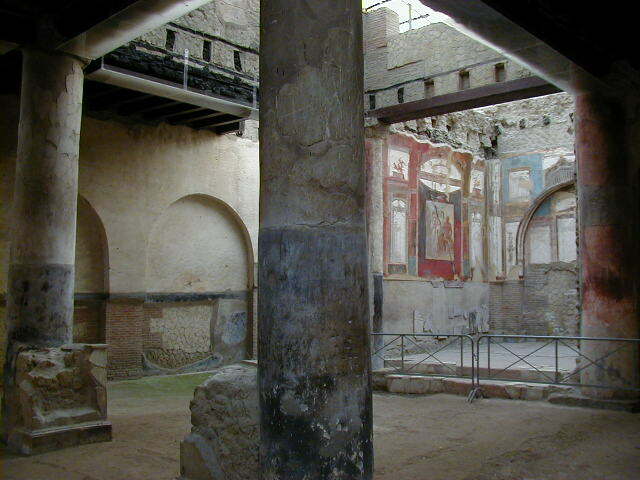 Since this was a rich town, I assume the forum was richly done. 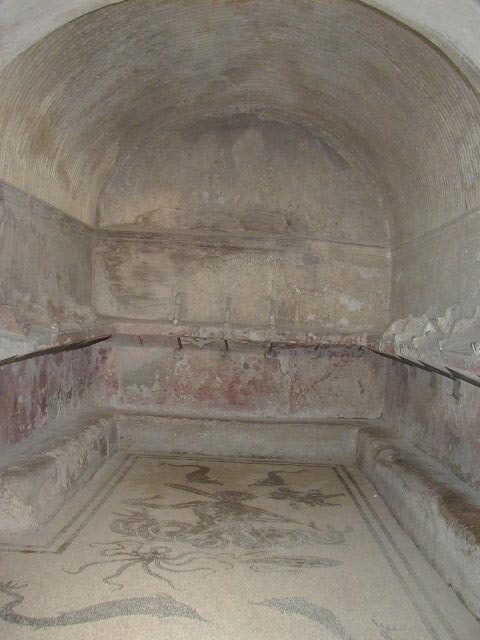 There may be some spectacular finds under that dirt and rock. 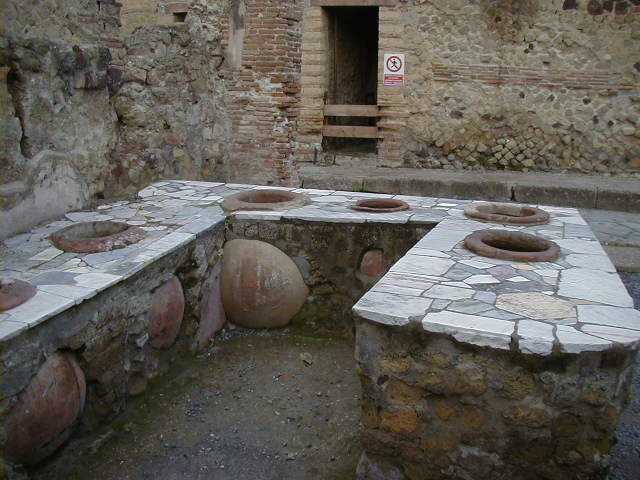 A couple of fast food places. 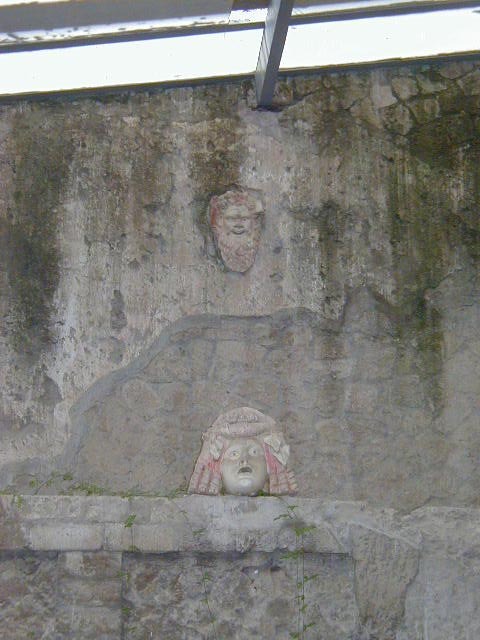 Every city had to have them. 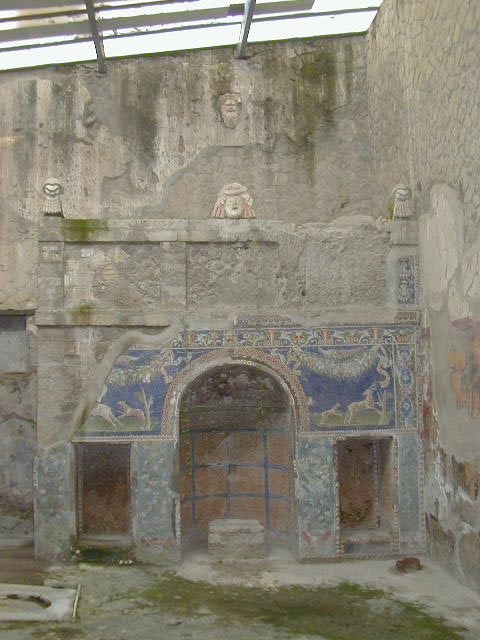 One picture of the exterior and many of the interior of the baths. 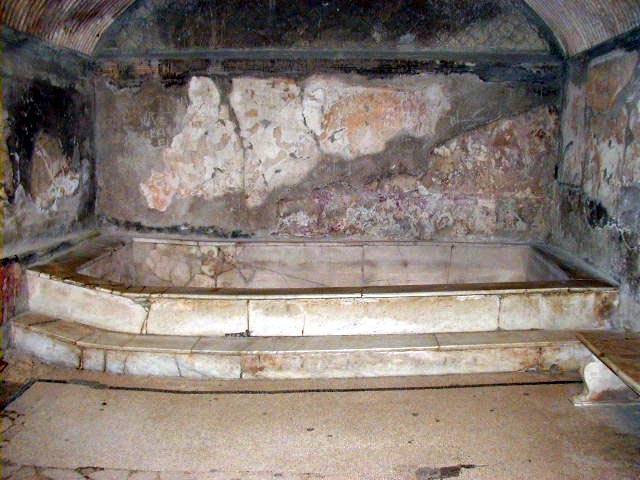 Some major settling problems in the room with the tub. 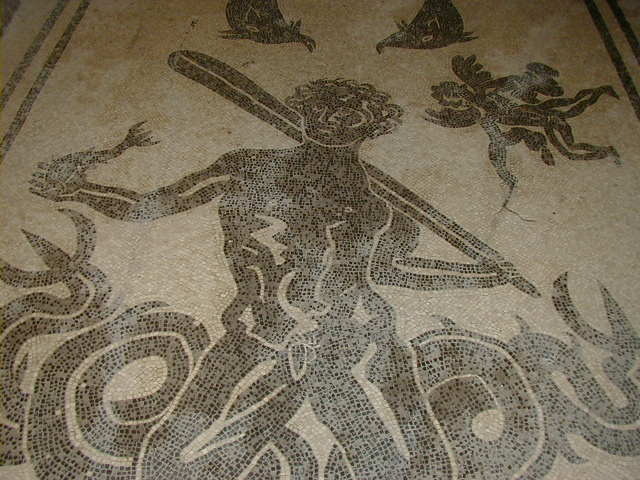 I guess that will happen over a couple of millennia. 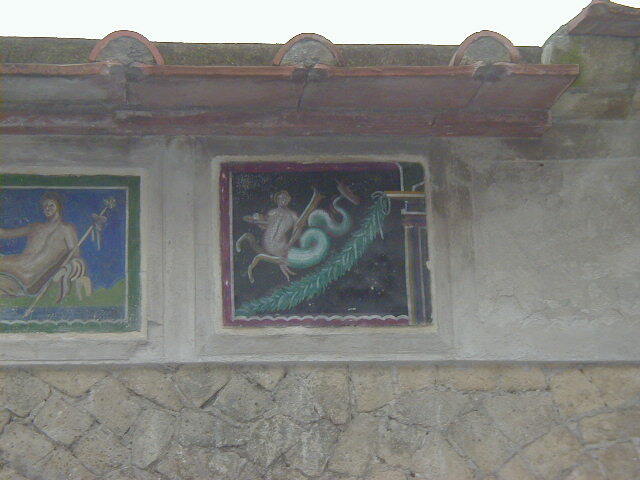 Pompeii has some rich houses with elegant frescoes. 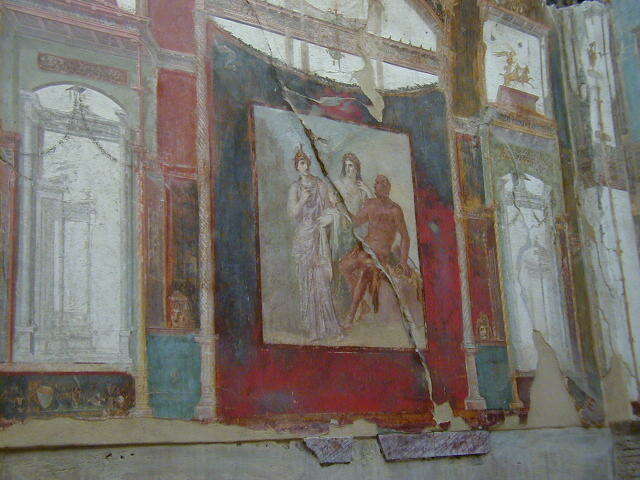 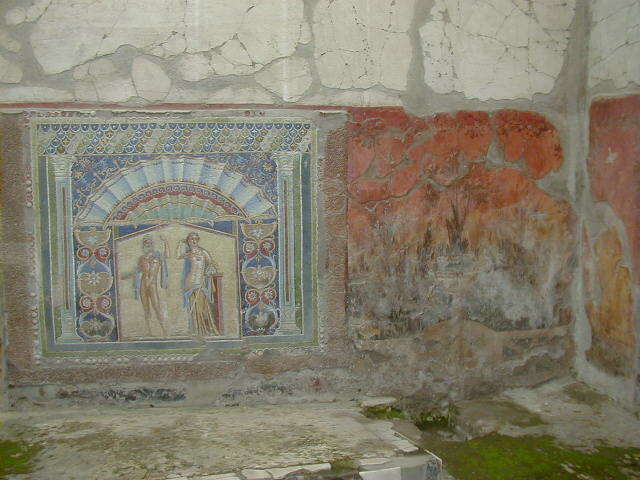 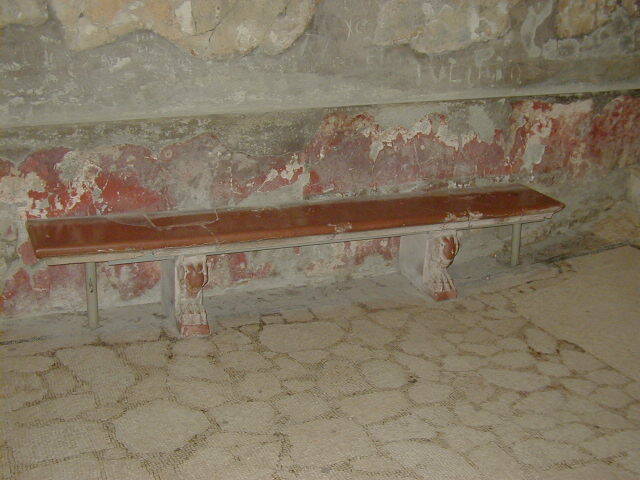 Herculaneum has many rich houses with elegant frescoes. 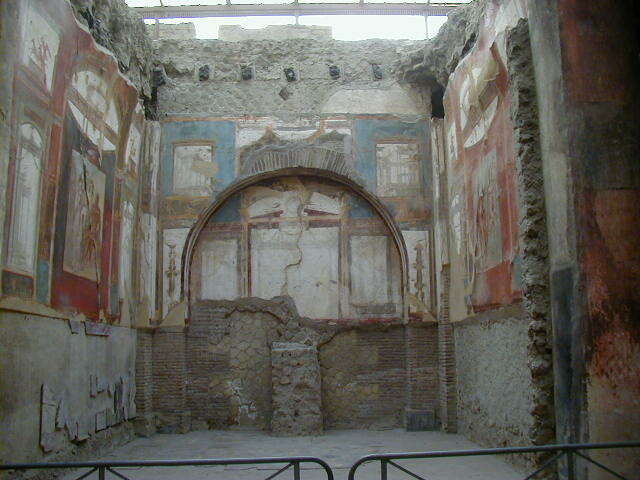 For example, the College of the Augustals. 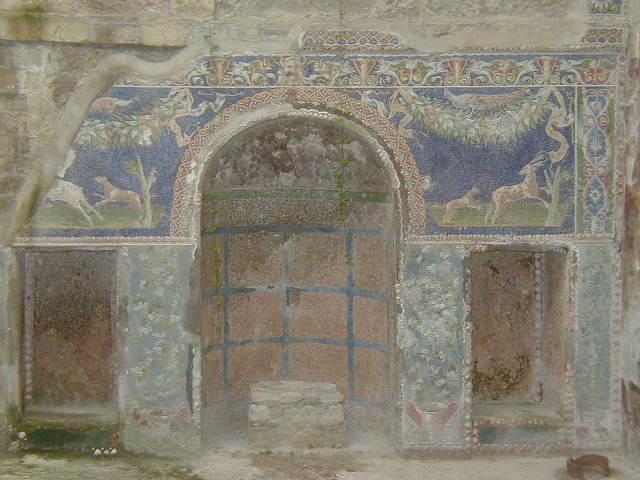 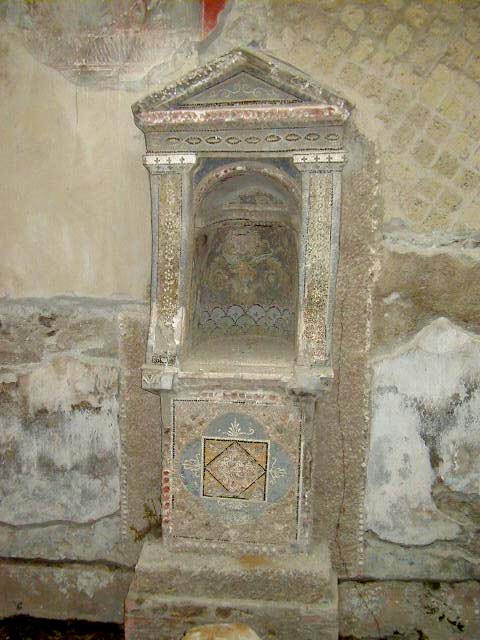 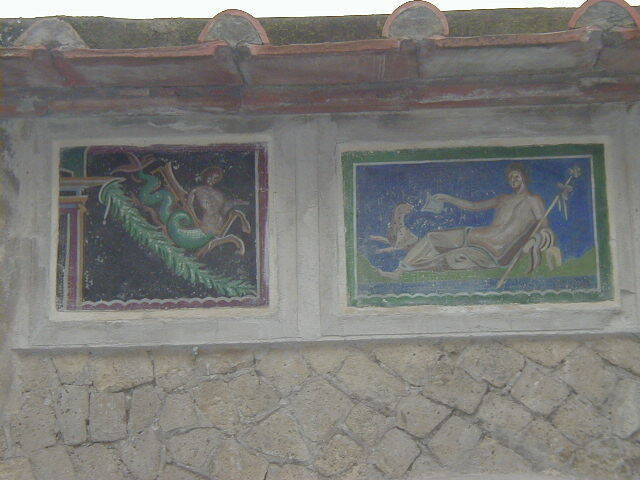 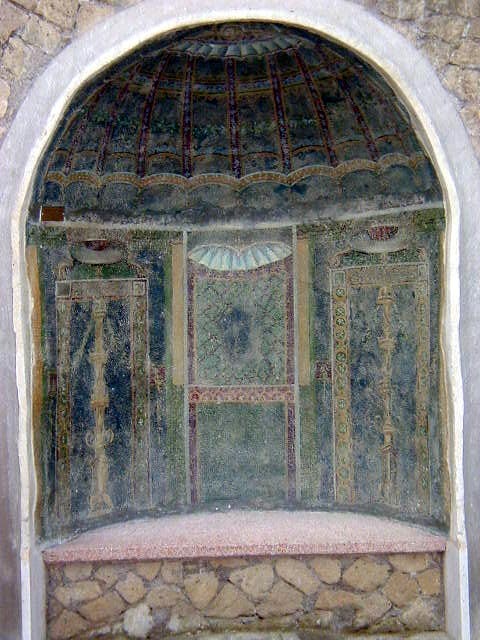 The mosaic of Neptune and Amphitre and other frescoes from the same house. 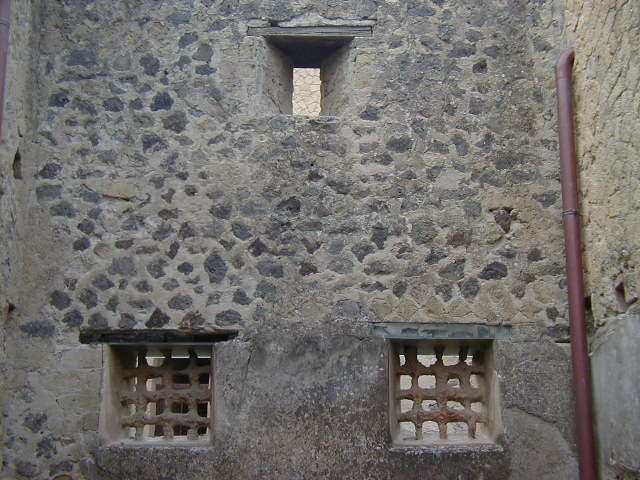 The windows of one of these houses, with iron grills and a high window suitable for shooting arrows through. 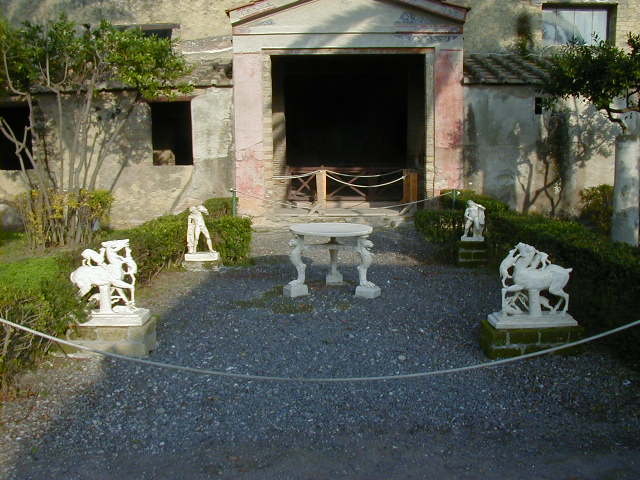 Even in good neighborhoods people built houses in anticipation of a possible raid by passing armies, unemployed mercenaries, barbarians, pirates, etc. 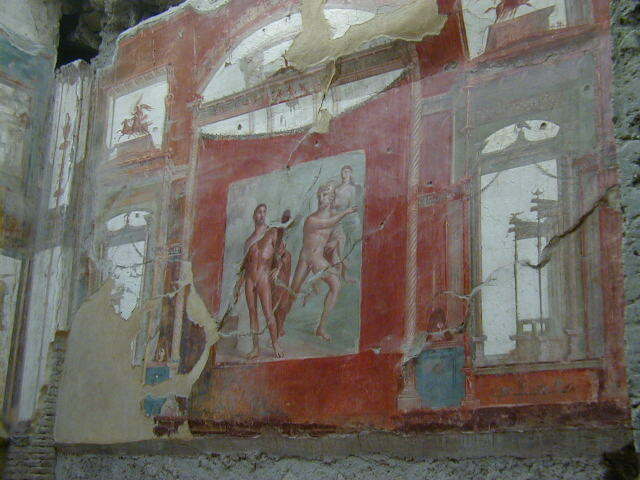 Finally a modern hazard to an ancient city--people who scratch graffiti into unprotected frescoes. 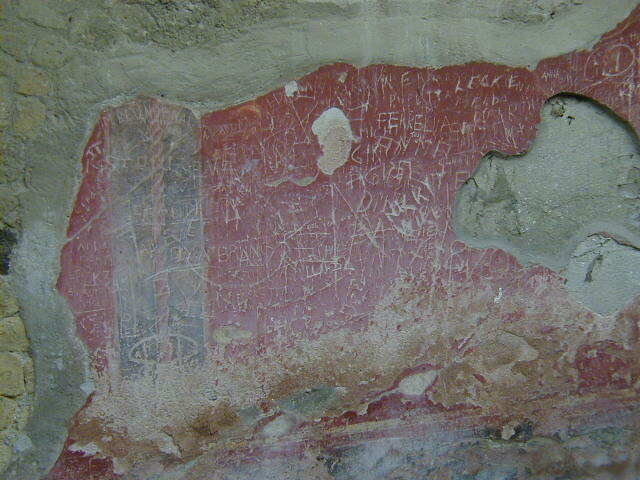 Morons. 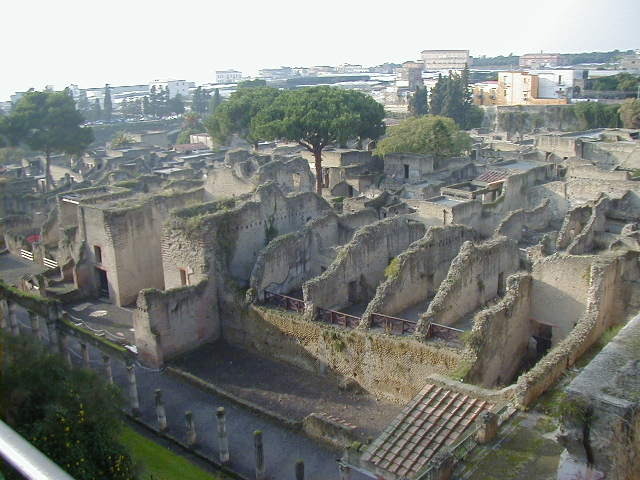 After seeing Naples, Pompeii and Herculaneum I headed to Rome.